On October 2nd, Pro Bono Lab office in Lyon will gather 7 non-profit organisations whose work is focused on eating well and ageing well for a thematic Pro Bono Marathon. 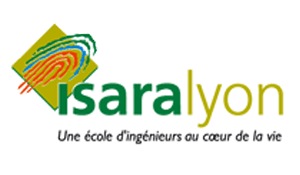 The event will take place at ISARA, a graduate college specialised in agricultural, food and environmental science. 100 volunteers will support the non-profit beneficiaries: half of them from the corporate sector, and half of them being students, retired people or job seekers. After the event, each beneficiary will benefit from one month of pro bono support by a pair of volunteers to be able to implement the recommendations given during the Marathon. This event is supported by EDF, the main electricity company in France, and AG2R La Mondiale, France’s leading provider of social protection and patrimonial protection.